The problem with having a break from writing my blog is I never quite know where to start when I come to writing it again. Plants are probably the best place as it’s their fault I have so little time for blogging at the moment. I have plants everywhere. 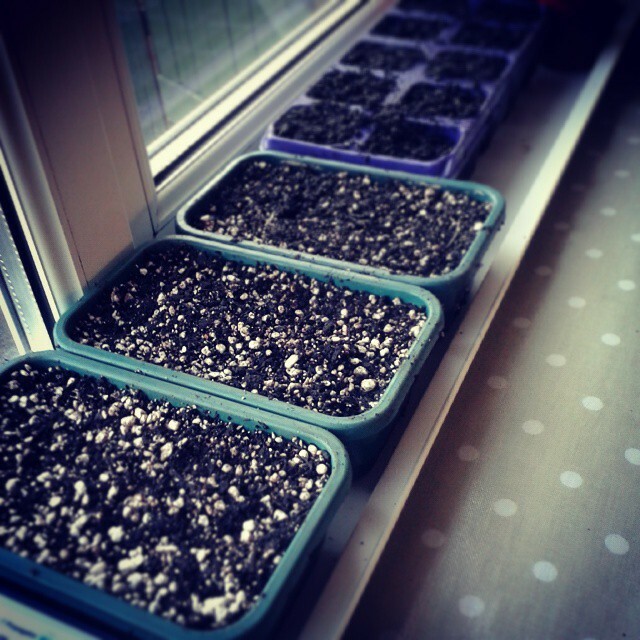 Every windowsill is being utilised, the cold frames are full to bursting, as is the greenhouse. It’s all one big juggling act of staggering sowings, moving plants about to harden them off and then moving them on to their final planting spots. I seem to spend quite a bit of time just staring at things and scratching my head wondering what the next move is going to be, like a horticultural version of chess. I have quite a few exciting projects on the go which require me to grow and nurture plants for photo shoots. This is on top of the plants for my own garden, the vegetable beds at the allotment and the cut flower patch hence my home being transformed into a forest of greenery. There are plenty of times when I think I’ve bitten off more than I can chew, but I’m trying not to dwell on that thought. Then there’s writing, all the usual stuff that goes into keeping day-to-day life ticking over and a husband in the final weeks of a degree. Who knew geologists were so interested in the bottom parts of fossilised creatures? Oh, and throw in a gum infection so one side of my face resembled a gerbil and the gnawing pain of toothache. It’s all very exciting (well, apart from the toothache, obviously). It’s just an overwhelming time of year when it feels like twice as much work has to be squeezed into the same amount of time. There was a chance on Saturday though to spend a few hours at a nearby garden to give Wellyman a break from his revision. Stockton Bury is a bit of a hidden gem, tucked away in Herefordshire. It’s a bucolic landscape, a sleepy county where the pace of life is still governed by the rural economy and the seasons. It’s a place I’ve been past many times. I have no explanation as to why we haven’t visited at some point, but as the saying goes ‘better late than never’. And what a stunning garden it is; a real plantsperson’s paradise. There was lots to see with plants I’ve never come across anywhere else. 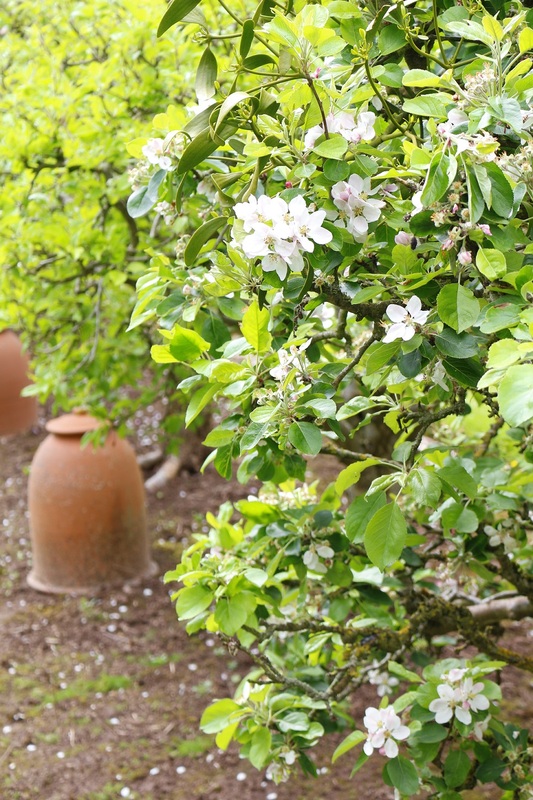 The garden covers four acres and is full of the most photogenic buildings you’ll ever see, from oast houses and a pigeon-house to fabulous ancient barns surrounded by cider apple orchards. The whole place reminded me of the nineties TV programme The Darling Buds of May. Despite its size it didn’t feel grand or ostentatious, and there were plenty of ideas and inspiration for the visitor. The plant highlight of the day had to be the fabulous tree peonies. I’ve never seen so many in one place. They had me drooling and wondering if I could shoehorn yet another plant into the back garden. We didn’t come home with one – I need to do some more research first, but pots of the German catchfly Lychnis visicaria and a hardy native orchid did come back with us. It’s not the ideal time of year to try to indulge in a spot of reading. My eyes don’t stay open for long on a night and my New Year’s resolution of reading in my lunch break has been postponed for now. A couple of books that have come my way recently which I’d love to mention are a bit of an eclectic bunch – Outwitting Squirrels by Anne Wareham, The Irish Garden by Jane Powers and Lunar and Biodynamic Gardening by Matt Jackson. 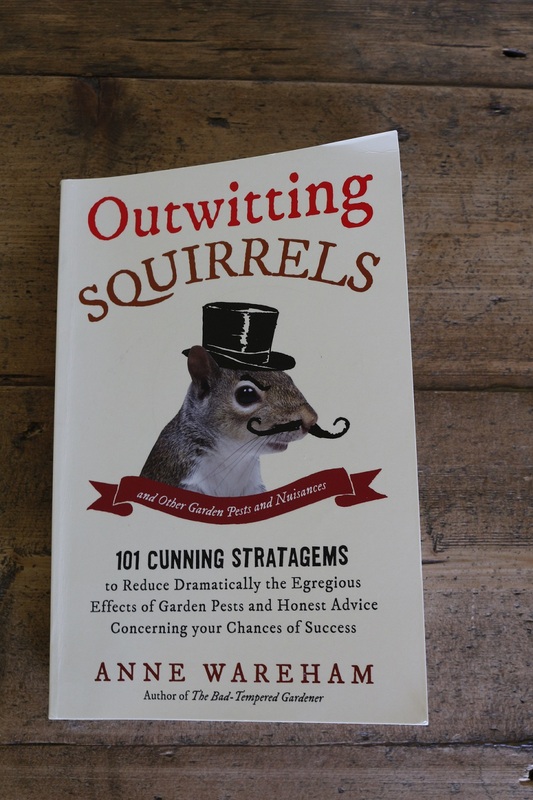 Outwitting Squirrels is actually the perfect book for this time of year – short chapters which can be read in bite-sized chunks. It’s a wittily written take on the gardening problems Anne has encountered over the years from pests and diseases to noise pollution and the weather. You’ll find yourself nodding in recognition, wryly smiling to yourself and laughing out loud. For example, “…midges are attracted to dark clothing, possibly HRT, gloomy, wet places and carbon dioxide. The cure, then, is to stop breathing and wear a white shroud.” Anne shares her tips in an honest and self-deprecating manner. It’s by no means a definitive guide to pests and diseases, but it never sets out to be. Perhaps a book to stash in your luggage for your summer holiday reading and a contender for the best gardening book cover? 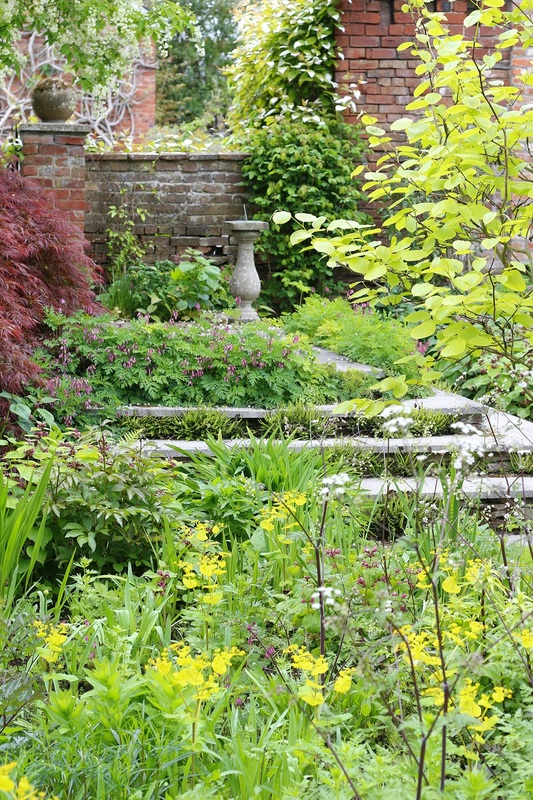 The Irish Garden by Jane Powers, the gardening correspondent for The Sunday Times in Ireland, is an epic work and clearly a true labour of love. At 400 pages this isn’t one for the suitcase and I’d be lying if I’d said I’d read it all, but what I have read so far I’ve loved. 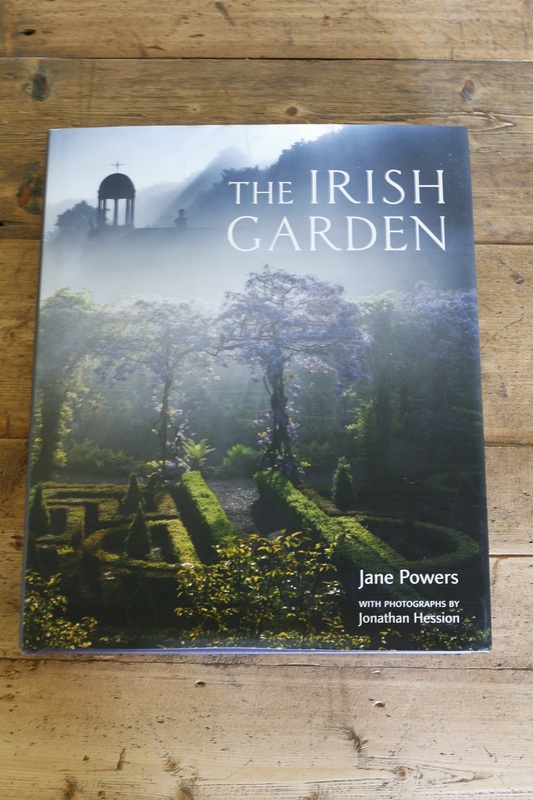 The book covers over 50 gardens across Ireland, all captured with stunning photography by Jonathan Hession. Jane’s research and writing are fascinating. I knew little about Irish gardens which is a real pity a) because my grandparents were Irish and b) because there are some stunning gardens which deserve attention. I was happy to discover I had at least visited one of the best in Ireland, Powerscourt, on a visit to Dublin several years ago. Dipping in and out of the book I have been most drawn to the smaller gardens and the section on edible spaces. June Blake’s Garden in County Wicklow is stunning, as is The Bay Garden in County Wexford. I loved the chance to see the garden of the Ballymaloe Cookery School and to read the story behind the Dunmore County School and the garden created with Gallic flair by its French owners. A book that is surely essential reading for anyone with an interest in the evolution of Irish gardening, garden history and for those plant lovers planning a trip to the Emerald Isle. Biodynamics and gardening in tune with the moon are topics which have intrigued me for a while now. That’s as far as it has got though, so I was fascinated to read Lunar and Biodynamic Gardening. 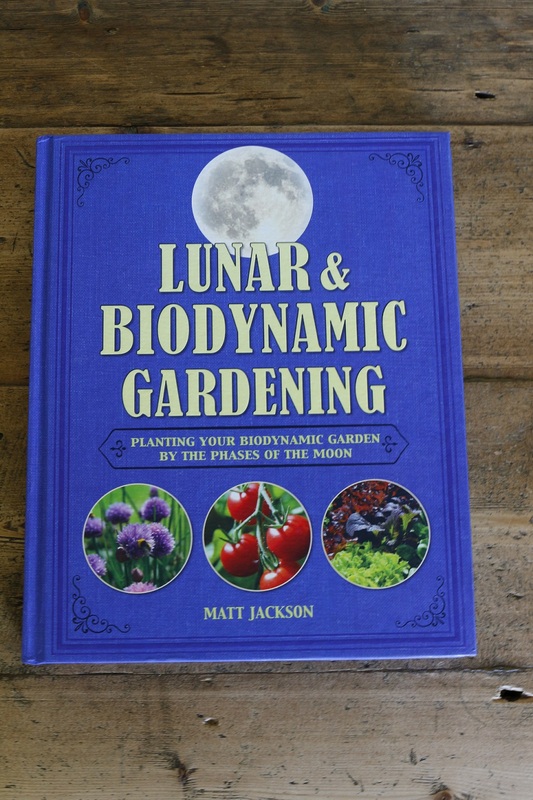 I have heard great things about biodynamics and lunar gardening, from this article by Mark Diacono to the story of a market garden in the Welsh borders which supplies top London restaurants. The author of this book, Matt Jackson, practices what he preaches using the principles in his own growing space. With over 20 years of gardening experience for the National Trust Matt describes his epiphany moment when he visited Tablehurst Biodynamic Farm in East Sussex. There are elements, the potions and tonics for instance, which will possibly take a certain suspension of disbelief for 21st century sceptics, but the case studies and photos of abundant growth do a very good job of persuading the reader. Personally I’m not sure whether I’m sold on the idea or not. I certainly feel passionately about organic growing and about nurturing the soil which are fundamental tenets of biodynamic and lunar gardening. I also think that we’ve lost many connections with the natural world since the industrialization of agriculture and our move away from rural surroundings, and in our highly technological world it’s easy to dismiss ideas like this. For me I’d certainly love to visit somewhere that grows on these principles or, even better, try to follow the suggestions in the book to test it out for myself. 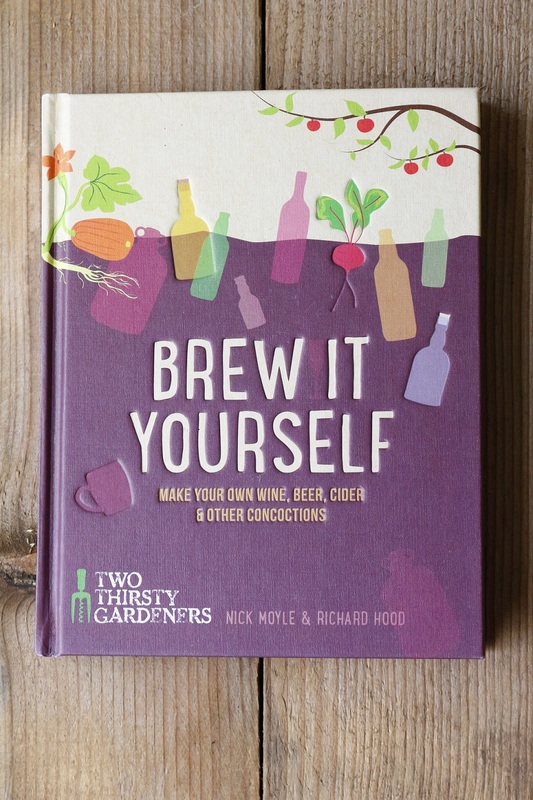 Matt’s book is a good introduction to both ideas and perfect for a gardener who wants to dip their toes into this world. Time for reading this year has been hard to come by but when I have managed to grab a moment the two books by bedside have proved to be fascinating reading. 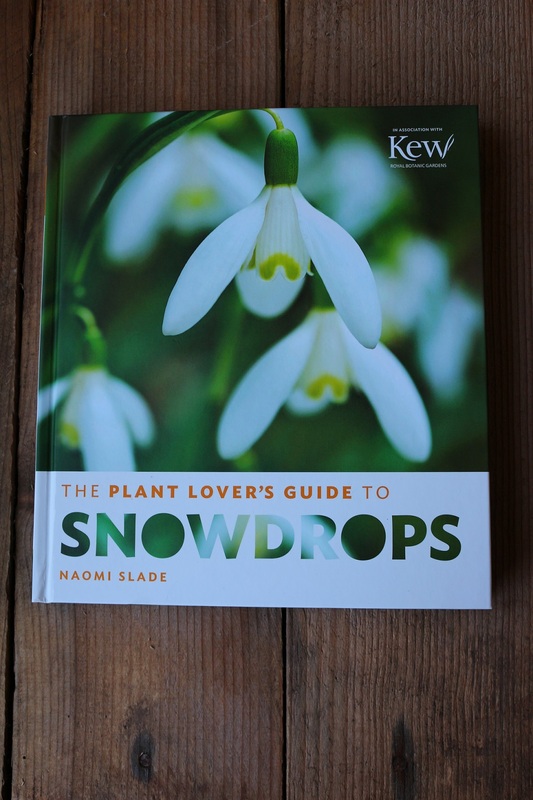 A Plant Lover’s Guide to Snowdrops by Naomi Slade is perfectly pitched as a present for gardeners this Christmas. It’s the fourth in a series of books by the publisher Timber Press which focus on a particular genus – the others include dahlias, sedums and salvias. Naomi’s book is an enchanting mix of her love affair with these plants, a botanical study, potted history and guide to growing. Most of all I loved the approachable style of the writing. 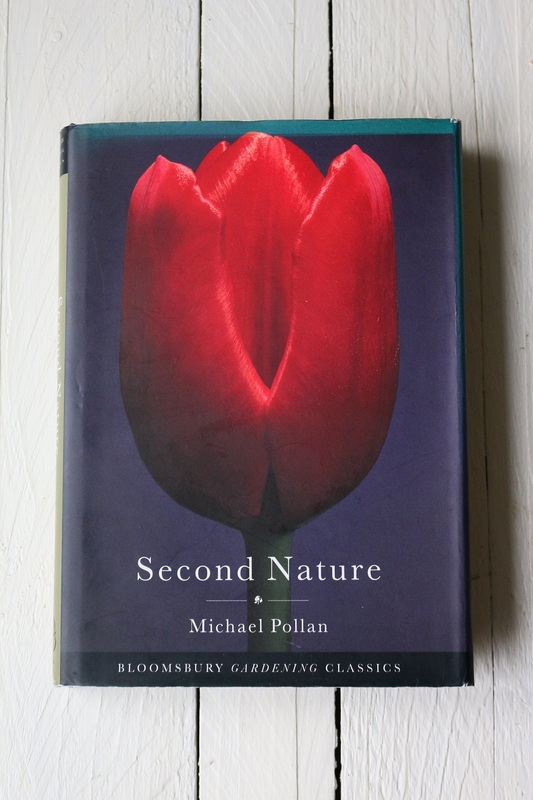 Sometimes books which are focused on one plant don’t hold my attention and can feel quite dry. Naomi has struck a great balance between being both informative and accessible. The gallery of snowdrops – a selection of hybrids, species and cultivars – is a fabulous showcase for this plant and it includes a guide to how easy or difficult the various snowdrops are to grow. A particularly good idea, as some snowdrops can be quite expensive. I visited a snowdrop day several years ago and was gobsmacked to see the price tags – £10, £15, even £30 – on tiny pots with no more than a small cluster of leaves and a tiny flower stalk appearing. I would want to know my investment stood a good chance of establishing in my garden for those sorts of prices. The diversity of the genus and the sometimes tiny, almost imperceptible, differences have made snowdrops a perfect plant for collectors. 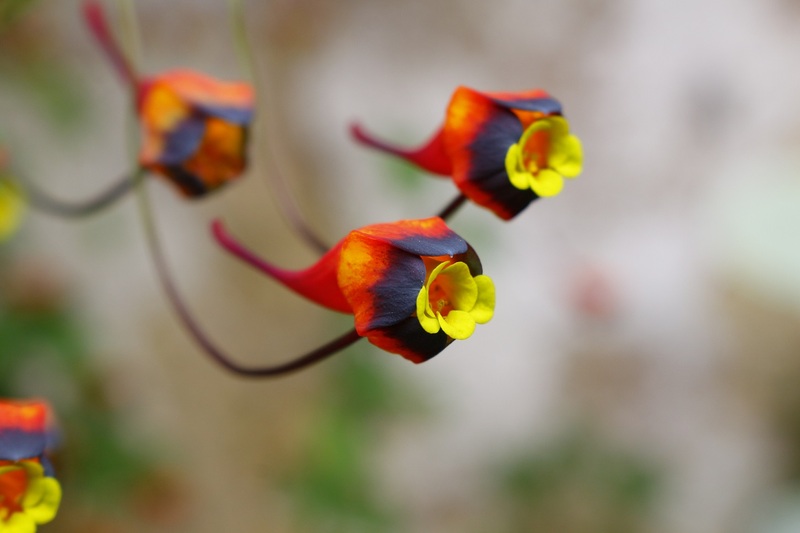 Galanthophiles as their known are incredibly passionate about these little flowers. I have always loved them. 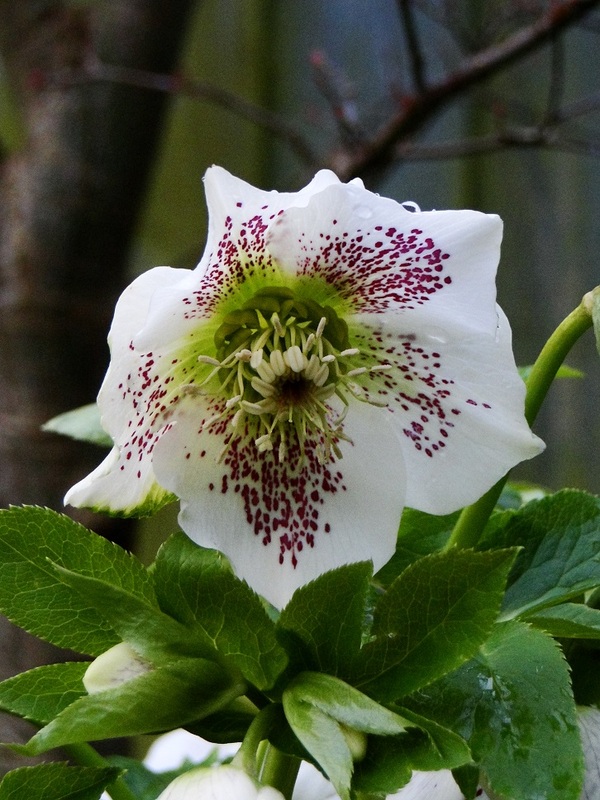 They’re the plant which brightens the January and February garden and they give hope that the winter will come to an end. Seeing them planted en masse at Painswick or Colesbourne is my first garden visit of the year and gives me the chance to escape outdoors. But I would say that I’ve never considered myself a galanthophile. I have slowly built up pockets of snowdrops in my garden but they are all simple Galanthus nivalis, or the common snowdrop. Having read this book though I am considering expanding my collection to at least more than one type of snowdrop. I was very taken by ‘Blewbury Tart’ and ‘Boyd’s Double’ but as both don’t include ‘easy’ in the cultivation section I think I might start with ‘Wendy’s Gold’ with it’s striking yellow markings. 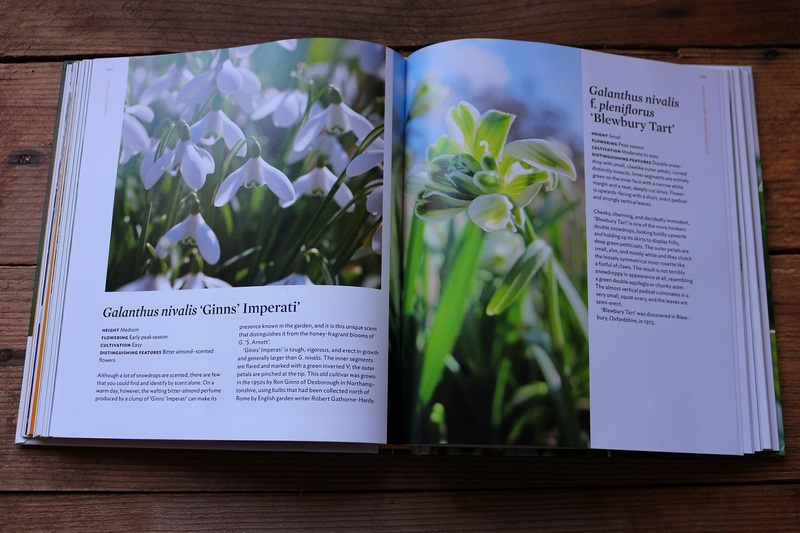 The book is peppered with interviews from snowdrop experts, nursery owners and collectors and fascinating snippets on topics from snowdrop theft to how the bulbs increase using a kind of natural mathematics. It was interesting to see that galanthophilia isn’t just a British phenomenon with the power of this little plant to capture our hearts reaching across Europe, America and Australia. The information on how to grow is comprehensive, as is the guide on where to see snowdrops in the UK and further afield, with lists of snowdrop related events. And, if you’ve been inspired to branch out and add a few other snowdrops to your garden, Naomi has included a guide of where to buy. 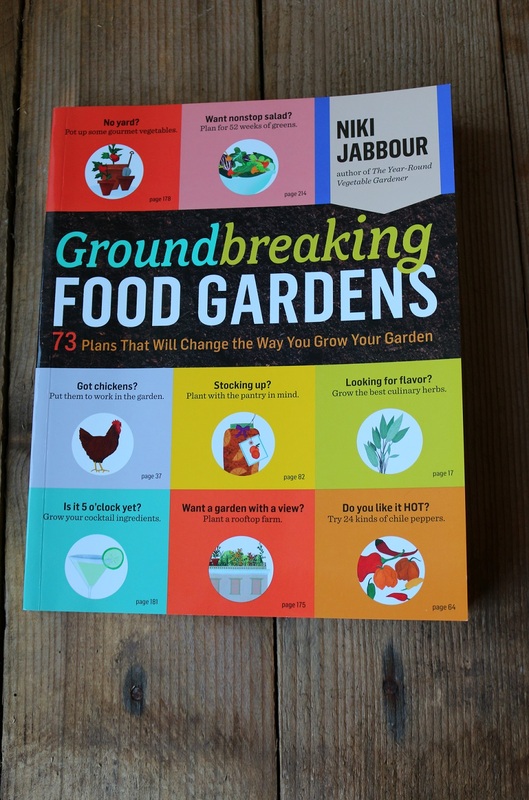 The second book Groundbreaking Food Gardens is a really interesting concept. 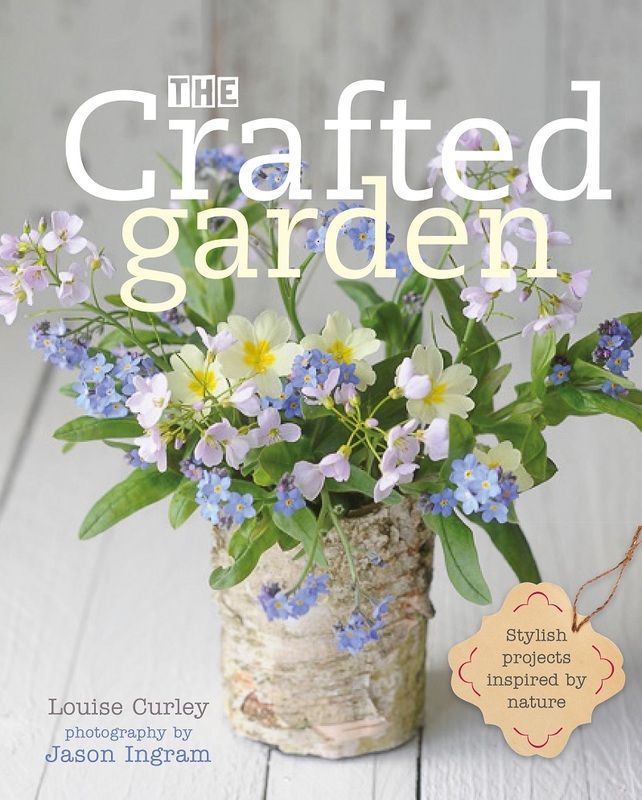 It consists of a collection of 73 garden designs created by passionate growers, from community gardeners and professional horticulturalists to garden bloggers and TV presenters, all based around the theme of edibles. 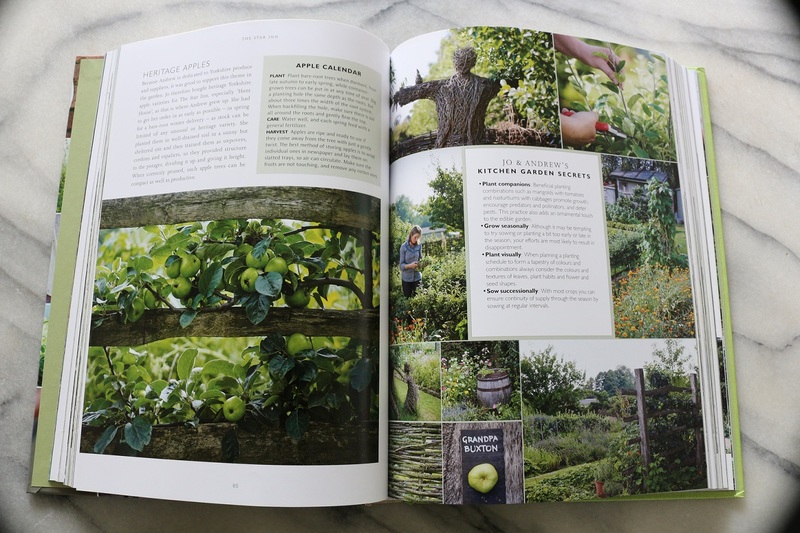 The book is published by American publishers Storey so there is a bias towards North American contributors but it does include gardens designed by British bloggers Michelle Chapman of Veg Plotting and Emma Cooper. There are gardens to inspire whether you have a tiny balcony or the space for a biodynamic farm and everything in between. There’s an edible hedge, a terraced hillside, a design based on Asian vegetables and a cocktail garden. 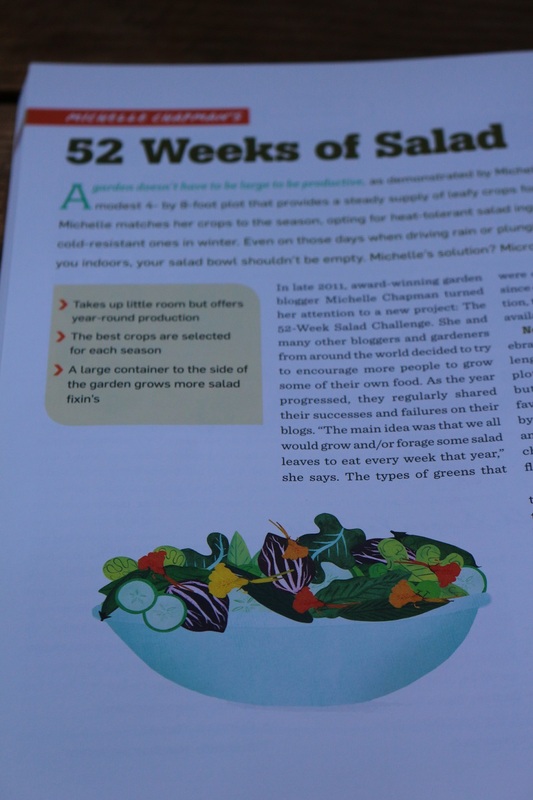 Our very own Michelle Chapman has taken her 52 Week Salad Challenge, which proved to be so popular on her blog, and designed planting plans based on the idea. 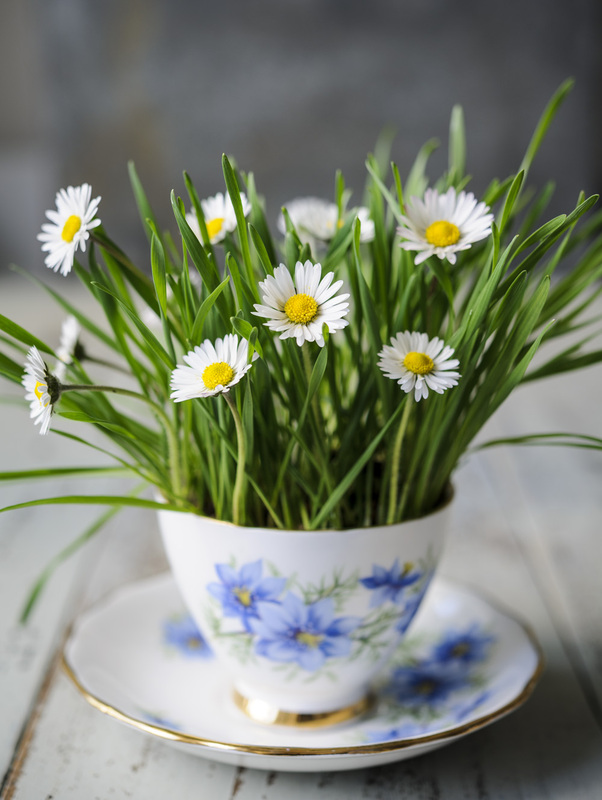 Successional growing and making the most out of a small space are challenges most gardeners face, both of which Michelle neatly combines in her suggestions. Certainly if you’re fed up of soggy bags of salad leaves from the supermarket this is the design for you. Emma Cooper’s idea is based around creating a self-sustaining garden with an emphasis on space for recycling nutrients including composting, comfrey and chickens. Initially I thought that because the book was mainly aimed at the American market it wouldn’t feel relevant to my own growing conditions. 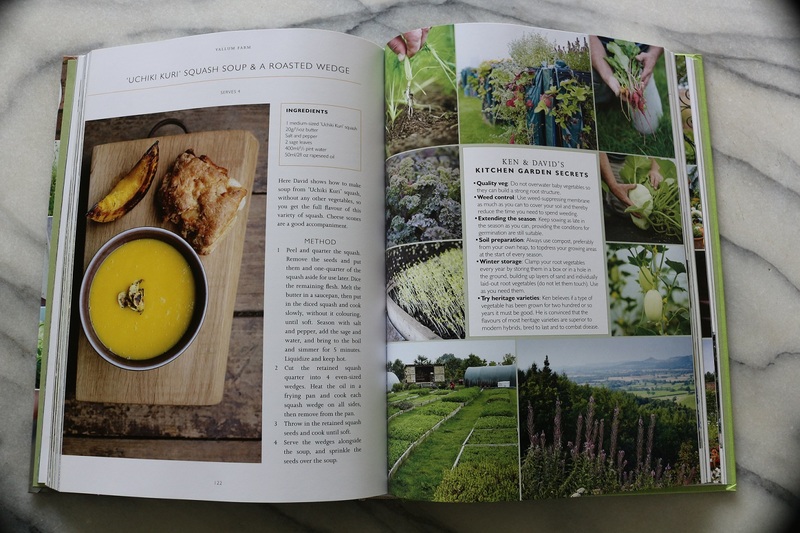 However, as I read on, I found it is the inspiration it offers and the insight into how growers in another part of the world view gardening and growing edibles that are the attractions to this book. It would have been nice to have had some photographs – the book is illustrated instead – but I understand the logistics of this, with so many gardens included and over such a large geographical area, that this would have been difficult and expensive to do. So, if you’re starting to think of gifts for gardening friends this Christmas or compiling your list for Santa then perhaps one, or both of these books is just what you’re looking for. Both books are available online or from your local bookshop. Many thanks to Rebecca O’Malley at Storey Publishing for these review copies. It seems that the speech Dr Hessayon gave at the recent Garden Media Guild awards has created a bit of a stir. He wasn’t very optimistic about the future of gardening books, and in particular reference books, suggesting that the internet is killing them off. It was a statement that a substantial part of the audience, the assembled writers and publishers, probably didn’t want to hear. Then came a feature on the Guardian’s website entitled ‘Why are gardening books so boring?’ by Lucy Masters. I LOVE books and always have, well, apart from a period of about a year after my degree when I couldn’t get beyond the second page of any book I picked up. My year at university had been a case of book overload and had taken the pleasure out of reading; I needed a break. It was gardening books that got me reading again. Wellyman bought me a set of Alan Titchmarsh books. We had just moved home from living abroad. I was stuck in a hotel on my own before we could move into our flat and all of our possessions were still in storage. I devoured those books in a day, mentally planning out a garden. I advise anyone I know who takes on an allotment to spend the winter months reading as many gardening books as possible, taking notes and formulating ideas, then they can start the growing season with confidence and a plan. That’s the brilliant thing about gardening, you don’t need to go to college to be able to learn enough to have a beautiful garden and productive allotment. But are there the books out there to teach and inspire gardeners? If anyone has been to the RHS bookshop at Wisley it would be hard to say there isn’t enough choice. Some subjects have been covered more than others in recent years. The popularity of urban gardens and allotments mean there are container books and grow your own fruit and vegetable books galore. But this isn’t unusual, it happens with anything that has become popular, authors and publishers are simply capturing the zeitgeist of recent times. I don’t think there is much doubt that the internet will have an impact, if it has not done so already, on gardening reference books. I’m much more likely whilst I’m writing to search online if I need information quickly. But, when I’m in the garden and I’m not sure how to prune a particular plant or I’m wondering which pest is chomping on the leaves in front of me it’s a book I’ll turn to. When my hands are covered in soil, I need some tips quickly and I’m gingerly tiptoeing through the kitchen trying not to shower everywhere with compost a book is much more forgiving than a computer keyboard. Perhaps the reference book’s days aren’t numbered just yet. Complaints about gardening books seem to focus on the idea that many books are ‘celebrity’ driven, that books are aimed at too broad an audience and books are too often pitched at the non-experienced gardener. All these factors are driven by economics; is a book commercially viable? Perhaps it’s unpalatable but the reality is that publishers need to produce books which will sell well if they are to at very least recoup their costs. It shouldn’t then be any surprise that authors with a TV presence prove to be popular with publishers. They already have a large audience of fans and potential buyers. There are books by well-known faces which make me wonder what else are they offering but a ‘celebrity’ author doesn’t have to mean a lack of substance or knowledge. 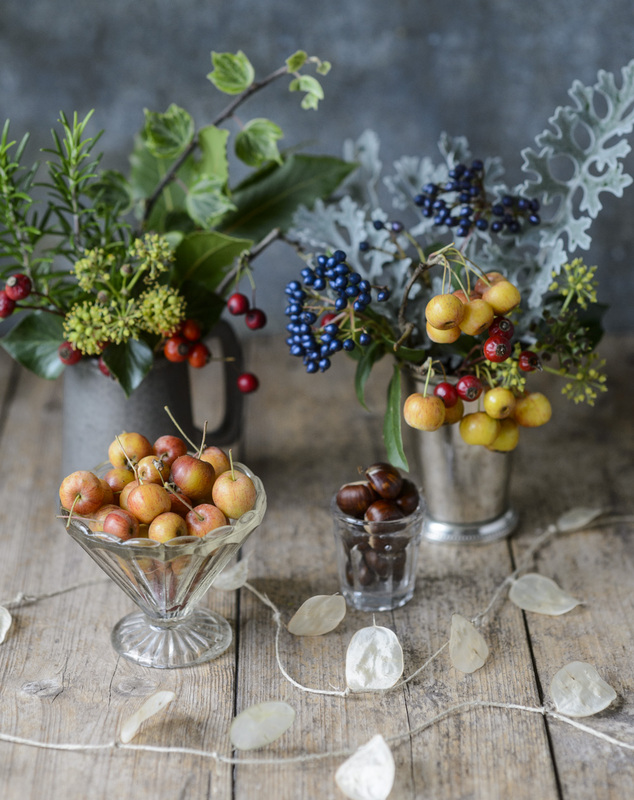 Alys Fowler and James Wong are both hugely knowledgeable and have inspired young and old alike to look at food and plants in a different way. 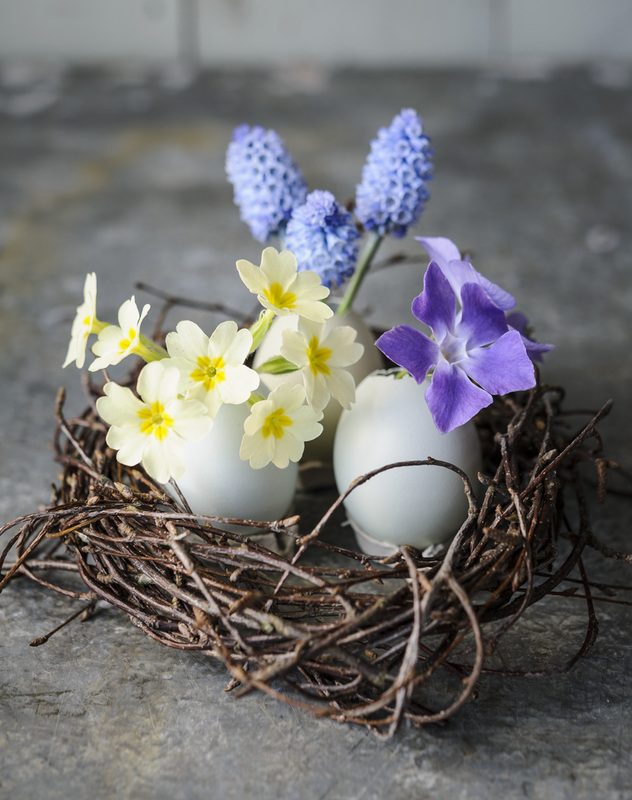 Some of my own favourite gardening books are by Carol Klein, a gardener and writer who exudes enthusiasm for her subject, and Monty Don writes thoughtfully about connecting with the soil and nature. To dismiss these writers simply because they are on TV would mean missing out on some great reading. Go to a publisher with what they consider a niche idea for a book and if they can’t make the figures add up then you’ll be unlikely to get it commissioned. There’s the option for an author to self-publish but it isn’t an easy option. New avenues are opening up such as Unbound but to get the money you would still need a profile of some description to gain funding from the public. Working out where to pitch a book can be tricky too. Don’t write about the basics and you could exclude those new to the subject and not provide a comprehensive coverage of a topic, include the basics and you risk annoying the more experienced gardener who thinks ‘Blah, blah, blah, I know all this already’. Certainly what I have learnt from gardening is that no matter how experienced you are someone else may have a tip or sliver of information, however simple, that you haven’t thought of or come across before. The other problem is the value put on writing itself. In a world where free content is increasing are people willing to pay for creativity any more? Few people would probably say they like advertising but it makes paid for content possible in magazines and newspapers. I remember an interview with Ian Hislop where he explained why Private Eye hadn’t gone down the route of free online content. He said he had explained to his children that if they ever wanted a job in the creative industries how would they ever earn a living if their work was given away for free. The perceptions of worth seem to be changing too? I overheard a couple complaining about the price of a book in a shop recently. It was the same price as the the bottles of wine they had in their trolley but they obviously didn’t see the value in a book they could go back to again and again. 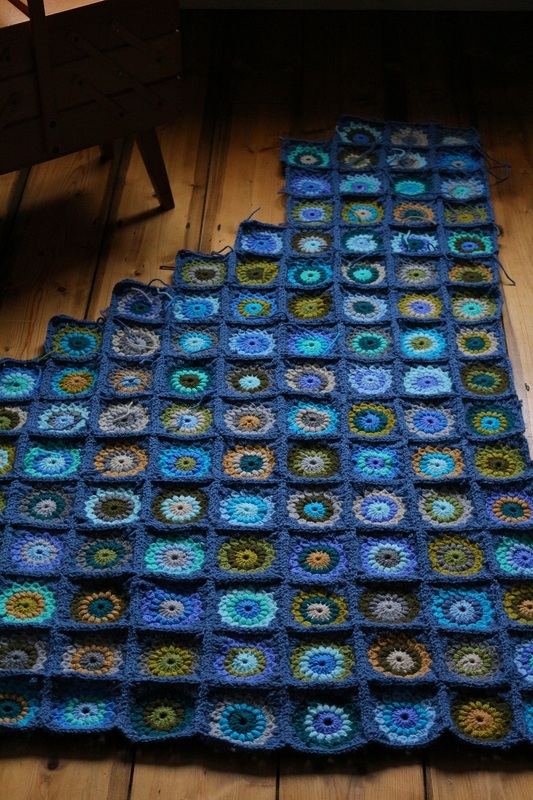 Creating a book is time-consuming, in some cases it can feel as if it has taken over your life. Unfortunately advances don’t cover the true time spent creating the book and so the author waits, hoping they’ve made something people want to buy. The phrase ‘deferred gratification’ couldn’t be more apt than for writing a book. More knowledgeable gardeners may crave specialist books. But the more niche a book the less of an audience and the less likely the author is ever to be rewarded for their efforts. And so, in the immortal words of ABBA ‘Money, Money, Money’ is the driving force. Whether it’s authors needing to make some sort of living and having to make compromises, whether it’s publishers needing to turn a profit and whether it’s consumers making choices with how and where they spend their own cash. 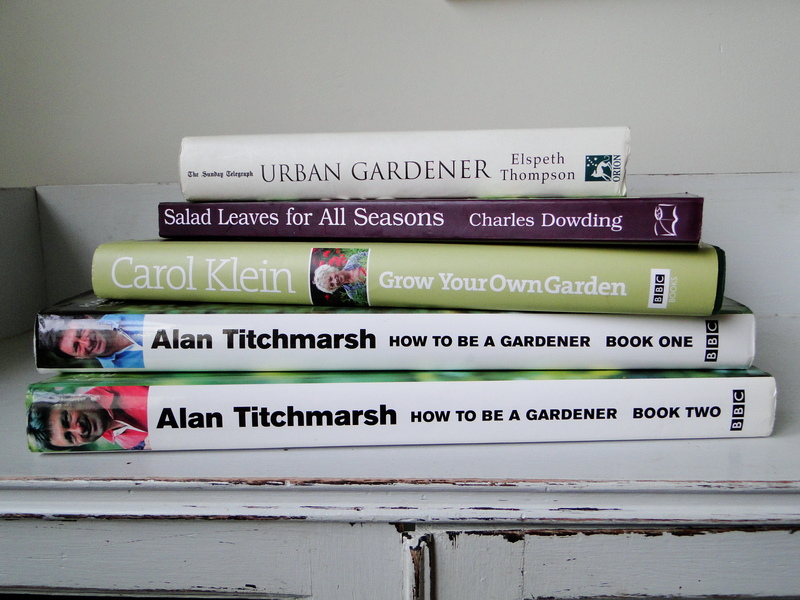 I love all of Carol Klein’s books but my favourite is ‘Grow Your Own Garden’. A subject which could be dry and dull but this is neither. Informative and enjoyable with useful tables at the back for quick reference. Monty Don’s ‘The Jewel Garden’. He writes with a passion and eloquence about the making of his garden, the depression he suffers from and how the connection with the soil helps to heal him. Cleve West’s ‘Our Plot‘. A celebration of allotments this isn’t a ‘how to grow’ book but with a plethora of those to choose from anyway this is no bad thing. Should be required reading for planners who should understand how important spaces for growing are in our communities. Alan Titchmarsh ‘How to be a Gardener’ and the ‘Complete Gardener’. I would recommend these to any first time gardener. Packed full of information to start you on a lifetime of gardening. Anything by Alys Fowler and Mark Diacono for their fresh approaches to writing and growing. 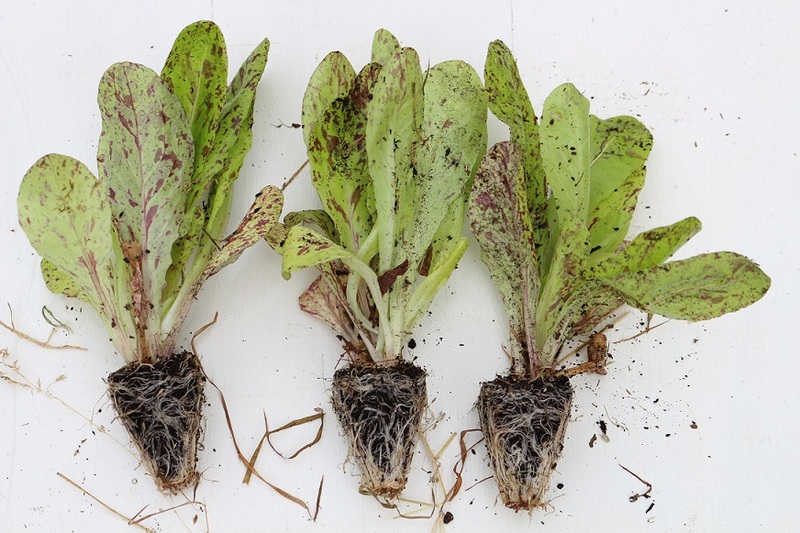 Charles Dowding’s ‘Salad Leaves for all Seasons’. This man knows his stuff. 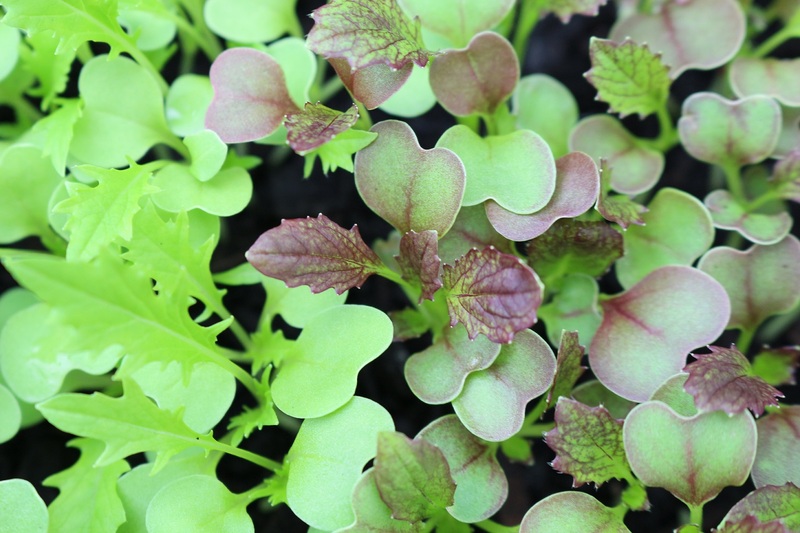 Ditch the supermarket salad bags of soggy leaves and grow your own. Other favourites include Val Bourne’s Ten Minute Gardener books, any of Anna Pavord’s books and Elspeth Thompson’s writing. 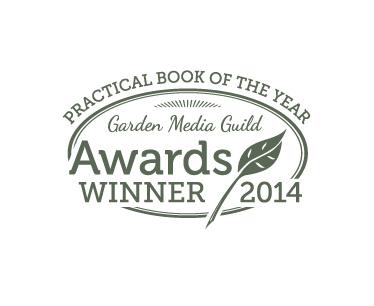 I’d love to hear what you think about gardening books. Which are your favourites, the authors you love and what books you would like to see published in the future? I’m passionate about local and seasonal food. If I can’t grow it myself then I’ll try to source it from a farmers’ market or at least look for British food at the supermarket, When it comes to eating out the provenance of the food is equally important. Years ago we went out with a group of friends to a restaurant which, as we were to discover, was a very loose description of the place. Chosen by another member of the group it wasn’t somewhere we would have ordinarily picked but we persevered. Unfortunately it was one of those eating establishments that helped to give British food such a dreadful reputation. One of our friends on the table muttered under their breath, as he attempted to cut the slab of insipid looking meat on his plate, that the chicken hadn’t had a happy life. It ended up being one of the most soul-destroying meals I think I’ve ever had. In complete contrast is the Ethicurean. A restaurant just south of Bristol it’s based in the Victorian glasshouse at the heart of a productive walled garden. The team of young chefs behind the restaurant are passionate about local, seasonal food and they have built up an impressive reputation in a short space of time for tasty, inspiring food. I first heard about the Ethicurean about a year ago and have been lucky to eat there a few times. Initially, the location in a walled garden was probably as much of a draw as the food. I have a bit of a thing for walled gardens, there’s something so magical about them. The location is impressive with views from the restaurant out across the south sloping garden and the Somerset countryside beyond. The food didn’t disappoint either, being inventive but not in a snail porridge sort of way and, most importantly, it was delicious. And now the foursome, Iain, Jack, Matthew and Paula have created their first cookbook. First impressions on receiving the book were good. I loved the design. It’s unusual to find a recipe book without a picture of food or some celebrity chef adorning the front cover. Immediately this said to me that this book might be something different. The photography by Jason Ingram is beautiful. 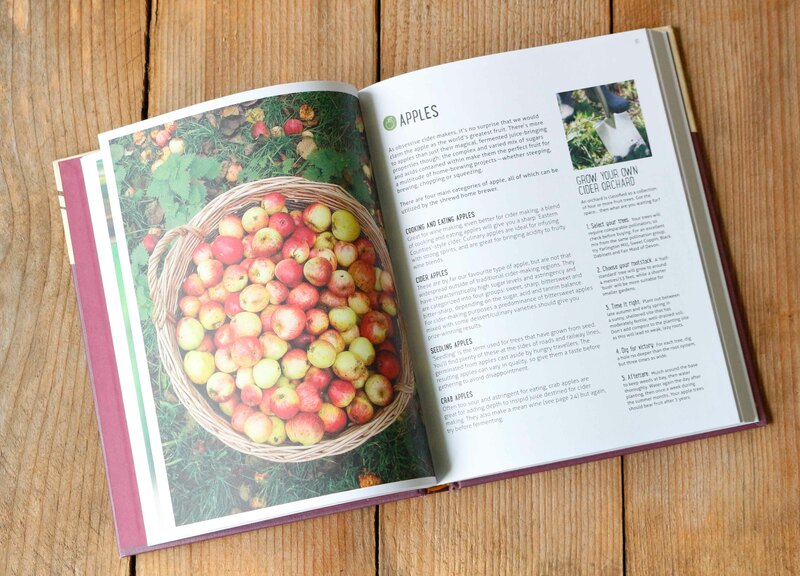 Images not just of the food but also of the walled garden, the team and traditions such as the wassail all give the book a real sense of place. There’s a feeling that the team really do have an affinity with the landscape, nature, the seasons and the walled garden and that it hasn’t all been conjured up by a TV producer. Seasonality is crucial to the chefs making them ethicureans and not just epicureans. Gardener Mark grows fruit, vegetables and herbs and the chefs seek out other ingredients from the growing number of small-scale producers in the local area, whether it’s goat meat, salt-marsh lamb, water buffalo or local cheeses. They also forage and make use of the abundant game in the countryside. 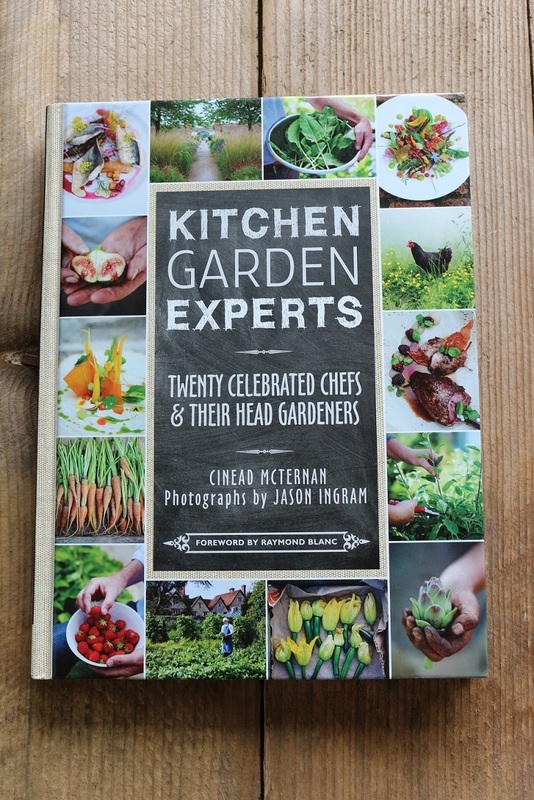 Reflecting this seasonality the book takes us through a year at the walled garden. I loved this element. The descriptions of the frost clothing the vegetable beds and apple trees, the first signs of spring, the abundance of summer to the fruits and fungi of autumn. 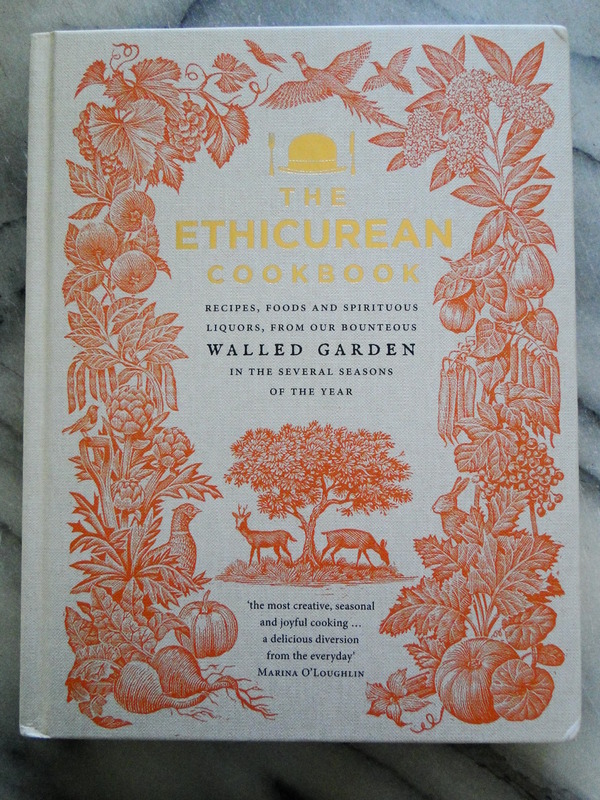 In the days before air-freight, cooking was inextricably linked with growing and the seasons and the team at the Ethicurean are trying to rekindle these connections. The food looks and sounds delicious and I can vouch for the goat meatball recipe which I have sampled at the restaurant. I would say this is a book for more adventurous/confident cooks though. Some recipes include techniques such as smoking and there are quite a lot of ingredients that won’t be so easily available to everyone or will at least need some tracking down. Having said that the nettle and squash soups, the milk stout and chocolate steamed pudding and the Eccles cakes all look easy to make. 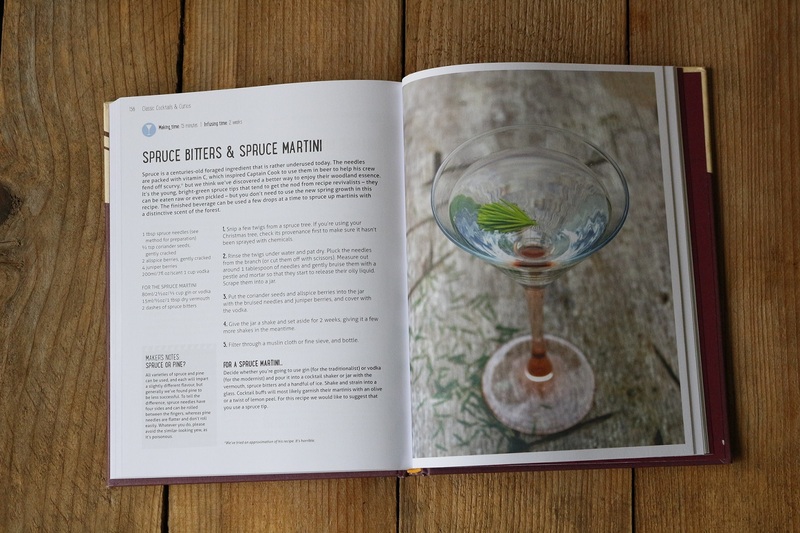 It’s impressive to discover that the chefs are self-taught and they’re generous with their hints and tips throughout the book. They extol the virtues of pressure cookers (I’ve always been nervous of them since my mum’s exploded!) to pickling nasturtium seeds to produce something akin to capers. And it’s not just food that’s covered. The Ethicureans love their drink, from the cider and apple juice made from fruit from the garden and pressed on-site to their tempting cocktails. You get the feeling these guys know how to party. I’ve already earmarked a patch of newly emerging nettles for some soup this weekend and Wellyman is eyeing up the apple, pear, cardamon and chocolate cake. For me the only real disappointment about the book was discovering that they already have a flower gardener. Growing flowers in the Barley Wood walled garden with all that tasty food so close-by, now that would be a dream job. Thanks to Sarah at Ebury Press for a copy of the book. The Ethicurean is out on May 16th. I was delighted last week when I received a book through the post. It was fellow blogger Out of my Shed’s first book and Naomi had kindly sent me a copy. I’ve known for a while now that Naomi was writing a book and I had the chance to meet her a month or so ago, so I was excited to see the finished product. It has been a hectic week and I already have a stash of books beside my bed which I have read a couple of chapters of and then never got back to them. Anyway, I finally got the chance to sit down and peruse Veg Street. If anyone follows Naomi’s blog they will know that it not only features great growing tips but also lots of inspiring stories about community growing. It was her own experience of getting people involved in growing, in the area around her home in London, that inspired this book. I’ve often read Naomi’s posts and thought how amazing it would be to live somewhere where people are brought together through plants. What started with some packets of seeds is now over a hundred neighbours growing fruit, vegetables and flowers in gardens, window boxes and even the ground around the base of trees. Veg Street shows just how much you can grow, particularly when space is tight. The book covers most of the popular crops, although, as Naomi says, it is not a definitive guide. It is about inspiring people to see their local community in a different way and what is possible when people come together. Although the book is written about an urban area there’s no reason why the ideas in it can’t be applied anywhere, even if you live suburbia or a small, rural village. I found the book easy to navigate and was informative. Some gardening books can be off-putting to beginners because of the amount of information but I thought Naomi pitched it just right. Not only did Naomi write the book but she also took the photos. They certainly seem a happy bunch of people and it’s great to see young and old alike united by plants. 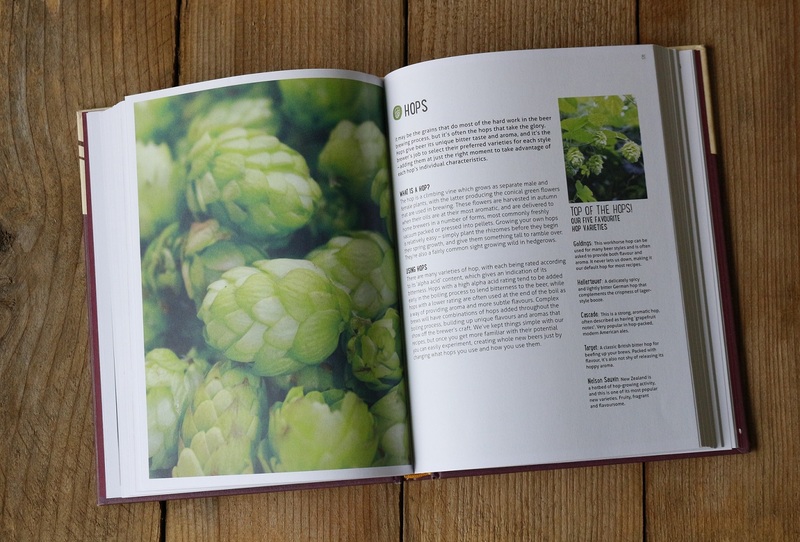 The book is divided into months, with guides of what seeds to sow and tasks to be getting on with. It’s the perfect book for anyone thinking of starting up something similar. I’ve just joined my allotment committee and there’s a feeling that the allotment site needs invigorating. The passion for growing your own seems to have waned in my village. There are no families on the allotment site and I’m the youngest there by about 20 years. It’s a real shame and if the future of the allotments is to be safeguarded we need to encourage younger people on to the site. The other problem is that the site is divided into two by a road and the two sides rarely mix. There are ideas in Naomi’s book that I’m hoping we can use over the next few years to make the allotments a more welcoming and social place to be. There’s a section at the back of the book which gives advice on how to set up a ‘constituted group’ and tips throughout the book on how to get help and funding from your local council. Hopefully, Veg Street will inspire more people to transform their neighbourhoods into bountiful and blossoming places to be. 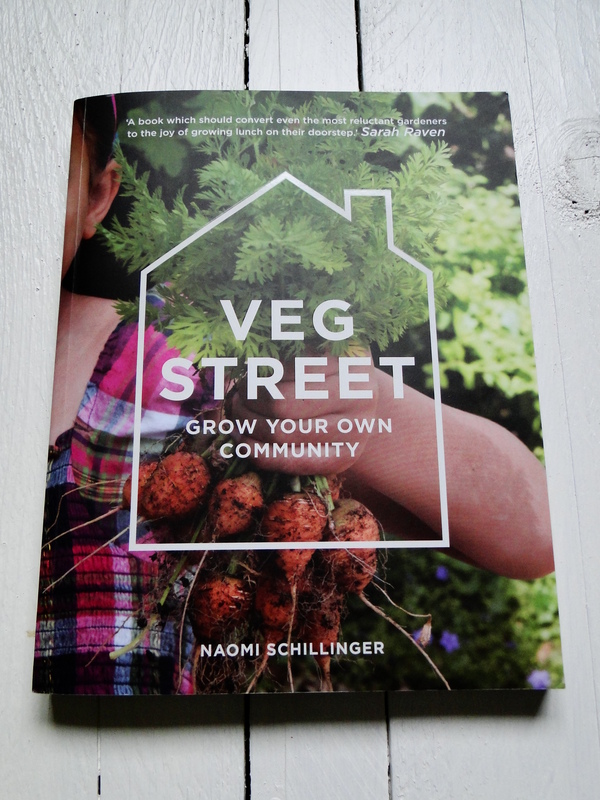 Veg Street is available to buy from the 7th March. 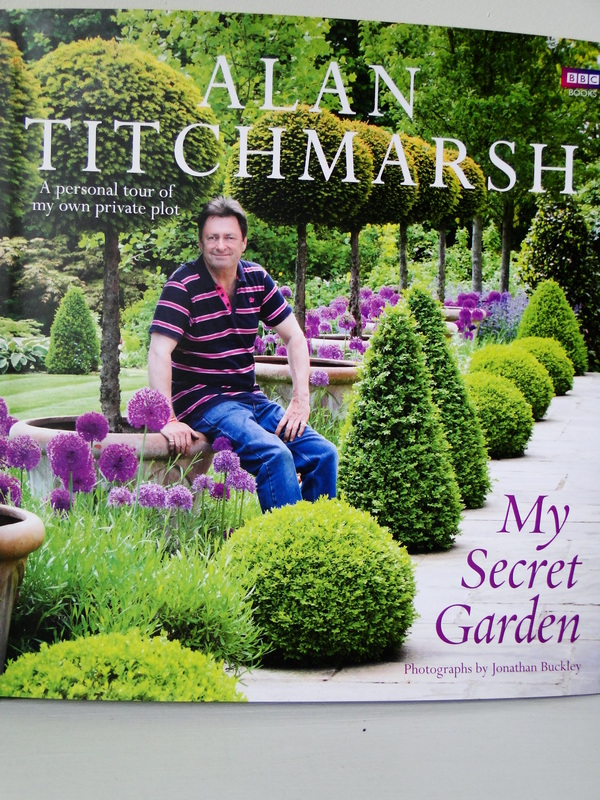 Perhaps the most famous gardener in the UK over the last two decades, Alan Titchmarsh was used to sharing his own garden with the public. For 6 years, as host of the BBC’s Gardener’s World, Alan allowed the viewers into his garden known as Barleywood. Then, in 2002, he left the programme and his home and garden of over 20 years. His latest book, My Secret Garden, is the story of the new garden he has created over the last decade. A space, until now that has not been shown to the public. I was looking forward to receiving this book. I used to avidly watch him on his BBC gardening programmes, even though I had no garden of my own at the time and I’ll often refer back to his gardening books for ideas and advice now I do have a garden. And, to be honest, I’m quite nosey so the idea of being able to see the garden he has created appealed to me. It’s quite a hard book to pin down. There are lovely photographs by Jonathan Buckley showing the garden in all its glory which gives it the feel of a ‘coffee table’ book but there is also text from Alan as he talks you around the garden. This is a book about the raison d’etre of his own personal garden. He avails us with the thoughts behind his design ideas and his planting choices. I don’t think I’ve read a book like this before. 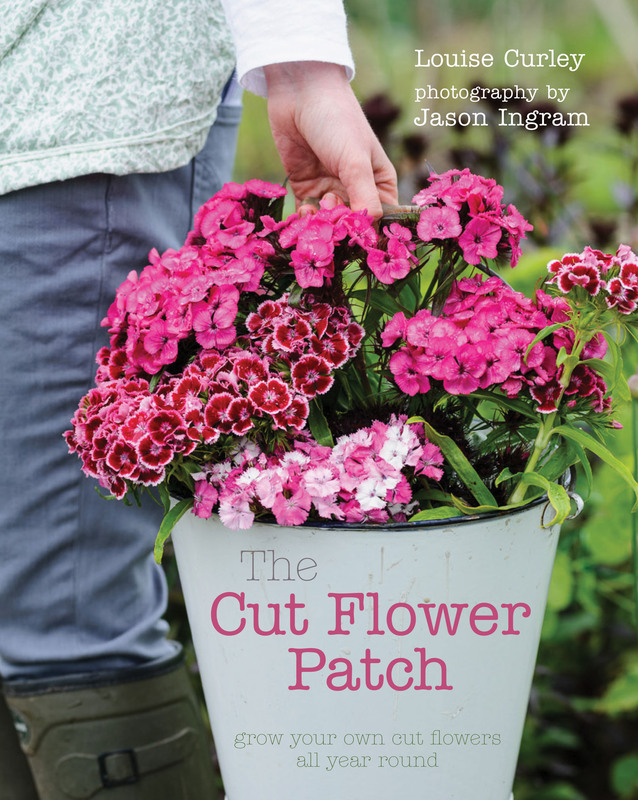 It is described as a gardening memoir. I’m not sure that memoir is the right word but then I’m not sure what is. I did enjoy hearing the reasons behind the ultimate look of the garden and where his inspiration came from. He shares his triumphs and disasters and doesn’t feel the need to hide elements that haven’t worked so well, for instance the use of box and the subsequent blight attack. It makes those of us with less experience feel better to know that someone as knowledgeable as Mr. T can still make mistakes. I liked the photographs taken from the same angles throughout the seasons. These particularly highlighted the value of evergreens and structure in the garden. And, whilst the book is not so much about passing on gardening expertise, I did think it was possible to take elements away from the book to possibly use in my own garden. 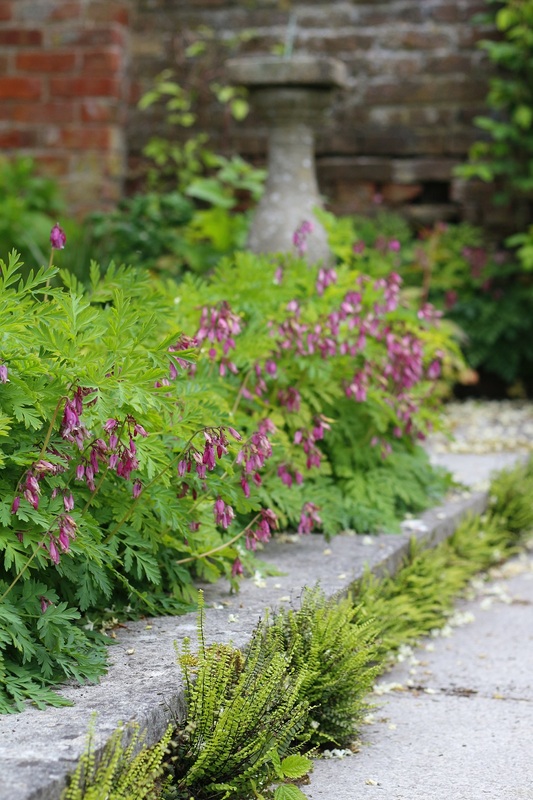 Certainly by studying the photographs you could take inspiration for planting combinations. If you like cutting edge design this won’t be the book for you but then Alan is probably not on your radar anyway. The garden surrounds a stunning Georgian house and the garden he has created is classical in style but there is a relaxedness about the space that came across in the photographs. It’s certainly a garden I would like to spend time in. There are elements of the garden that I loved, the topiary lining the terrace, for instance, and his stunning greenhouse but there were other aspects that were less to my taste such as the Union Jack flying from a flag pole. However, I like the fact that he doesn’t feel the need to hide these from the ‘design police’, this is after all his own garden. I would have liked a few ‘before’ shots of the garden showing what it was like when he first moved there, to give the creation of the new space some context and I was disappointed there weren’t any pictures of the vegetable garden. It was a shame this area wasn’t given any coverage. If you’re a fan of Alan’s then you’ll love this book. It’s interesting to read about the formation of a garden and the reasons behind it. So many gardens seem to evolve quite haphazardly over time or are created in one fell swoop by a design team. It was good to read about the problems he encountered with his new garden. It wasn’t a blank canvas as so many gardens aren’t and yet this seems to be only rarely touched on in features about gardens. Having someone describe their garden is a interesting idea. It’s quite easy to pick at someone’s personal taste but I wonder how many gardens would stand up to such scrutiny. I think it’ll make me question ideas I have about my own garden in future and the plans I have for it. Alan’s book is available to buy now from Amazon and all good independent bookshops. Thanks to Claire at Ebury Publishing.